The Oklahoma City Zoo is often ranked as one of the best Zoos in the United States. We like working with them because of the culture of the administration. They are a group of wonderful people that really care about the well-being and preservation of endangered species. Though the OKC Zoo has been a strong organization for a long time, their visual identity did not accurately reflect the quality and variety of experiences offered at the OKC Zoo. Many people did not even know about the Botanical Garden or the Aquarium. 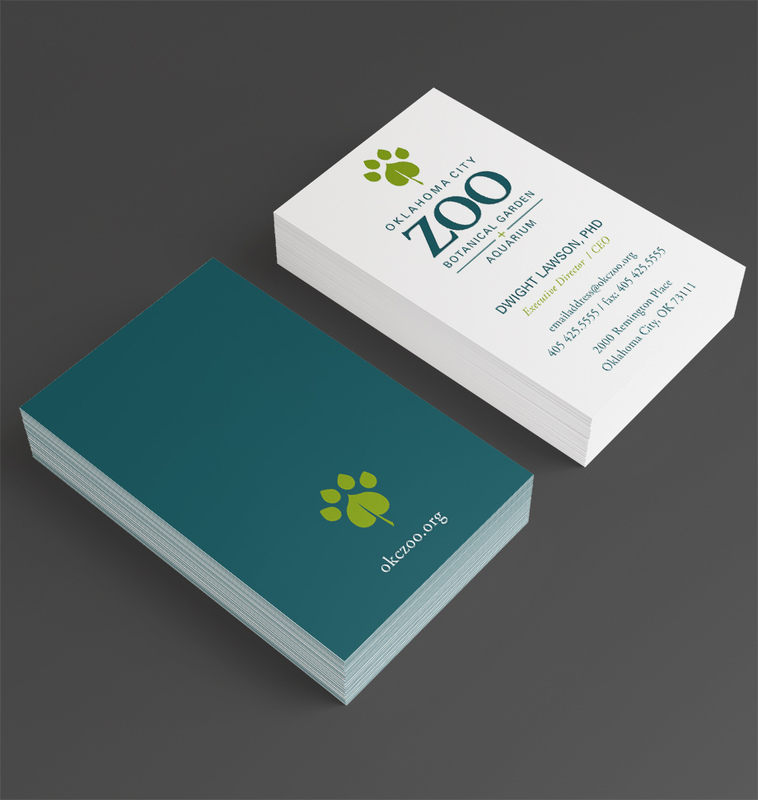 We wanted to create a strong identity system for the Zoo that was flexible enough to work across all applications, but specific enough to really communicate what they do. This is why we ultimately landed on a mark that combines a redbud leaf (the state tree of Oklahoma), with some water drops to create a paw print. This allowed us to represent all 3 aspects of the Zoo in one simple icon and to truly convey the quality of all the experiences that they provide.